Gloria Swanson and Laurence Olivier star in this sparkling high society romantic comedy as a young couple that decide to marry under the condition that they agree never to disagree. That arrangement is soon put to the test when the husband finds himself attracted to a beautiful young woman and a hilarious battle of the sexes unfolds ... This lighthearted gem, co-written by famed director Michael Powell, was produced by Swanson and is the only film she made in Britain. When I think of Laurence Olivier, I imagine the high-minded “serious actor” best known on film for his Shakespearean works and other dramas like Wuthering Heights. I don’t think of him as a comedic performer, which made 1933’s Perfect Understanding intriguing to me. When Judy Rogers (Gloria Swanson) and Nicholas Randall (Olivier) choose to wed, they do so via a “perfect understanding”: they’ll have an open marriage in which each one remains “individual” and avoids jealousy. Inevitably, this doesn’t go as planned, and interpersonal complications result. Given the talent involved in Understanding, I hoped for an entertaining romp. In addition to Olivier and Swanson, noted filmmaker Michael Powell worked on the script. What could possibly go wrong? Quite a lot, as it happens. Perhaps some of this stemmed from my expectation that I’d get the “romantic comedy” promised on the Blu-ray’s box. There’s precious little romance or comedy in this dull, dreary affair. Instead, we get melodrama – lots and lots of melodrama – and a slow pace. Man, does this thing crawl. Normally a movie that runs only 85 minutes would feel packed to the gills, as short flicks tend to race through their subject matter. Understanding feels woefully padded, unfortunately. Sequences go on forever and feel like they add little. Take the entire first act, for example, in which the film sets up the background behind the open marriage. A little of this would’ve gone a long way; I understand why the movie shows us the bad relationships that inspire Nick and Judy, but this theme wears out its welcome long before the story finally moves anywhere else. And so its goes. Understanding skimps on character development and emphasizes scenes with high society goings-on and related shenanigans. As a result, we don’t care about the participants. Will Judy and Nick end up firmly together or will their indiscretions separate them? Who cares? The lives and loves of some smug rich folks don’t do create much material of interest. The somber tone really does kill the movie, too. Even if I ignore the promise of comedy, Understanding comes across as so dour and mopey that it becomes a chore to watch. We’re stuck with the navel-gazing of dull, self-absorbed characters, with precious little respite along the way. All of that adds up to a slow, boring movie. I hoped for a lively “pre-Code” romp and found nothing but turgid melodrama. 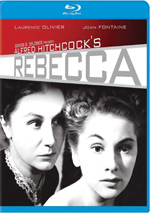 The Blu-ray’s packaging refers to Understanding as “little-seen”, and there’s a reason for that: it’s a dud. Perfect Understanding appears in an aspect ratio of approximately 1.33:1 on this Blu-ray Disc. Given that the film just celebrated its 80th anniversary, I thought this was an acceptable presentation, but I didn’t think it worked better than that. Sharpness tended to be mediocre. On occasion, the movie manifested better than average delineation, but much of the flick delivered decent clarity and that was it. No issues with jagged edges or shimmering appeared, and I saw no edge haloes. Print flaws were largely a non-factor, as only a few small specks or marks ever materialized, and with lots of grain, I sensed no intrusive noise reduction techniques. Blacks tended to seem somewhat mushy, and contrast veered toward the dull side of the street; on occasion, the image provided a more appealing silver tone, but often it was flat. Shadows were decent, as low-light shots displayed adequate visibility. I don’t want to come down too hard on the transfer, as it looked relatively good for a movie of its vintage. If I’d seen it a few years ago, I’d have been more impressed, but with so many high-quality Blu-rays for films of the same era – like The Public Enemy and the Universal Horror series – I couldn’t help but think this one paled in comparison. This wasn’t a bad transfer, but it didn’t become one of the better 1930s images. Similar thoughts greeted the iffy LPCM monaural 2.0 soundtrack of Understanding, as it clearly showed its age. Speech was decent at best, with lines that tended to be flat and a bit muddy. I usually found the dialogue to remain intelligible, but some lines could be a little tough to comprehend; the absence of a subtitle option didn’t help. Music was acceptable; the score lacked much range but wasn’t too harsh or shrill. Effects were similarly passable, as they showed some roughness but were reasonably clear. The audio tended to be noisy, unfortunately; I noticed a hum through much of the flick along with pops and thumps. I felt the audio deserved a “C-“, as it wasn’t a disaster for its era but it came with problems. When we shift to extras, we find Selected Comedy Shorts from 1933. This gives us two films: Dream Stuff (19:50) and Husbands’ Reunion (19:12). Walter Catlett stars in both. In Stuff, egged on by Walter (Catlett), nerdy Clarence (Emerson Treacy) competes with multiple suitors for the affection of blonde bombshell Betty (Joyce Compton). 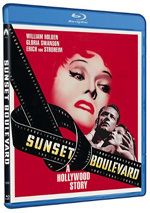 In Reunion, Walter (Catlett) visits his ex-wife Nora (Nora Lane) and her new husband Elmer (Grady Sutton), with results that eventually send the participants to court. Both are surprisingly risqué, and they’re reasonably amusing. The disc opens with ads for The Bronte Sisters, The Damned, In the House and Blancanieves. We find no trailer for Understanding. An eight-page booklet completes the set. It offers some photos and credits but lacks any essays or other info about Understanding. With two film legends on screen and another at the writing desk, I hoped Perfect Understanding would live up to its billing as a “rarely seen gem”. Instead, I got a slow, dreary tale with forgettable characters and precious little entertainment value. Picture and audio seem acceptable for their age, and we get a couple of moderately amusing shorts as bonus material. Understanding might entice fans of its famous stars, but I find it to offer a major disappointment.